Since the European Enlightenment, the relation between science and religion has been a topic of much public interest. 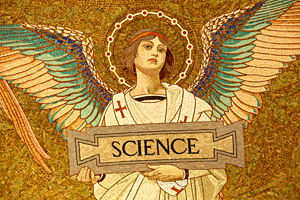 Usually, however, it has been a debate formed by heavily vested interests: in the 19th century, scientists attacked organized religion as a part of their emancipation from the church; vice versa, religious spokespersons have been eager to claim compatibility between doctrines of faith and emerging new authoritative views on nature. Even today, it remains the case that most academic research on relations between science and religion are driven either by the current “new atheism” vogue, or funded by religiously motivated organizations, such as the massively influential Templeton Foundation. The result has been a loss of nuance and critical perspective. In order to remedy this situation, one needs, on the one hand, to broaden the scope and look at the wider social contexts of scientific knowledge production and interaction with religious institutions, and, on the other, to be more precise by looking at particular instances of such interaction. Continuing my practice from an earlier talk on a similar topic, I will make the manuscript of the lecture available here, in two installments. You’ll find the first part below.